Zeros are so healing. I’m ready to tackle the Pyrenees. The upcoming section is the hardest one and can only be done in good weather. There is some rain and thunderstorms in the forecast but the storm seems to be weakening. There are alternates for bad weather or bad knees. We will be watching closely. 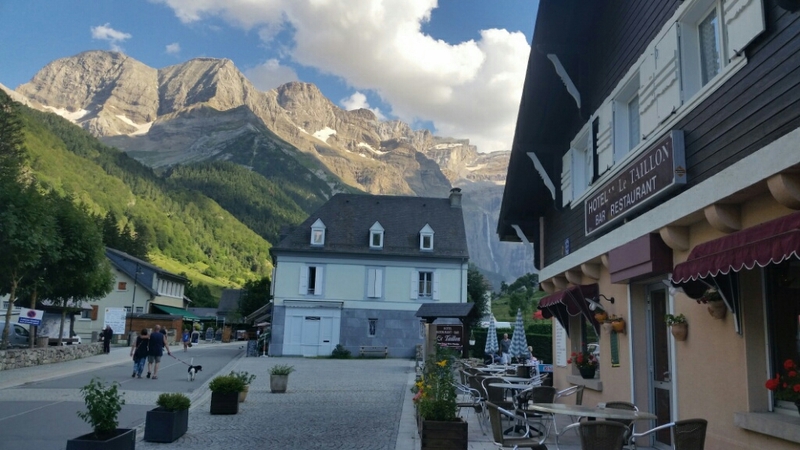 There are also Refugio with food so on trail zeros are possible. We will play it safe. 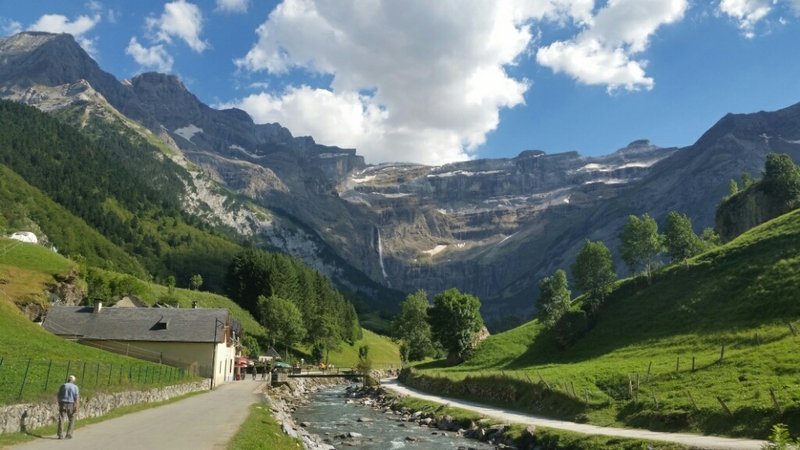 Gavarnie had so many less people today. 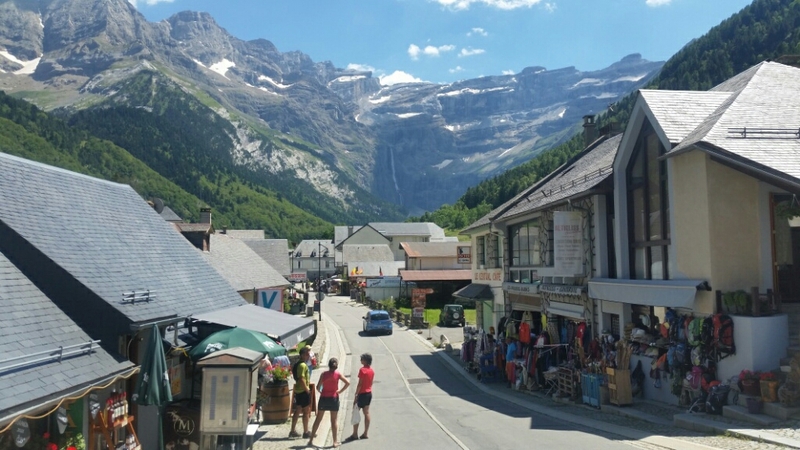 This town is all about the Cirque of Gavarnie which dominates the town. One interesting observation is that despite all the tourists we didn’t see even one other American. Maybe it’s because you have to walk to see the cirque up close. You can’t drive. 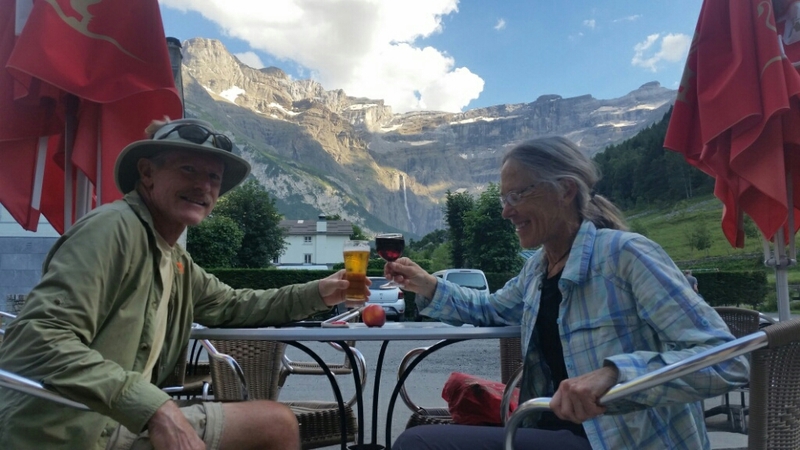 Cheers to Gavarnie. You’ve been good to us. Zero! Hope that was fun, restful, and relaxing! Beautiful little town. Yes, we did it and it was beautiful ! We were alone on the summit because we have left early. Did not see your tent to shake it😀. We’ll follow your blog to see your progress to Banyuls. If you wanted to go to the refuge of Barroude tomorrow, I hope you know it has burnt and has not been rebuilt. If you want to have a break in France near Bordeaux or in Switzerland (Crans-Montana, july 30 to August 14), you are at home.